In 2005 guidance published by the National Institute for Health and Clinical Excellence (NICE) recommended all young people in England aged 15-24 years with cancer should have access to specialist age-appropriate cancer care. There are 13 principal treatment centres (PTC) in England linked to other regional hospitals that are designated to deliver age-appropriate care. While the way care is delivered is different in each PTC they have a common philosophy of care. Professionals and patients say ‘specialist age-appropriate care’ is “better” for young people, but there is limited evidence to support this. BRIGHTLIGHT is generating the evidence to underpin future policy recommendations. Every year about 2,000 young people aged 13-24 years in England are diagnosed with cancer, which is the main cause of death in this age group apart from accidents. Despite the implementation of new models of service delivery over the last 10 – 15 years for the care of young people with cancer, there is limited evidence for the benefit of these services. The Cohort study focuses on variations in the young person’s perspectives of care depending on where they were treated. 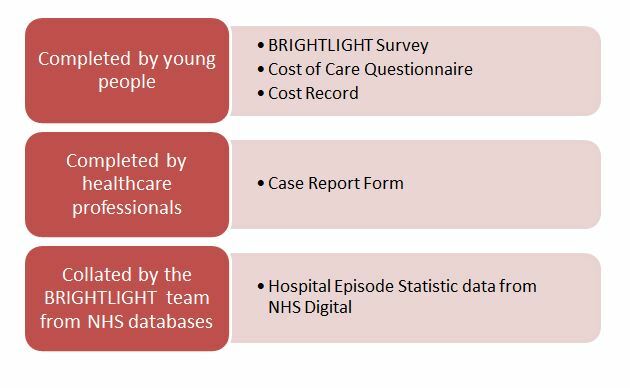 The BRIGHTLIGHT Cohort study recruited 1,114 young people across 97 NHS Trusts across England diagnosed between July 2012 and December 2014. Of these, 830 young people went on to complete the first BRIGHTLIGHT Survey. The BRIGHTLIGHT Survey was developed specifically for this study with members of the Young Advisory Panel (YAP). Questions in the first survey asked about diagnosis, place of care and experience of care as well as information about how the young person feels, how supported they were and generally about their lives (work, school, relationships). After the first survey, if young people were no longer receiving cancer care they are only asked about how they feel and the general questions about their lives. The BRIGHTLIGHT Surveys are available free to academics and non-commercial organisations from this link; scroll to the bottom to choose which wave survey you want to look at or download. The Cost of Care Questionnaire and Cost Record were developed specifically for BRIGHTLIGHT and document how much young people and families have had to pay on top of their normal expenses because of the cancer diagnosis, such as travel to the hospital. These will be made available at the end of 2018 when analysis is complete. A total of 830 young people completed the first survey. Data collection for all 5 time points will be complete in March 2018 so we will begin our analysis and start reporting results late summer onwards. Please watch the website and follow us on twitter to be updated about results as they happen. The aim of this research was to look closely at these services, to specifically examine the culture of care for young people receiving cancer care in England. The current economic climate of the National Health Service presents an ongoing challenge for specialist health services to demonstrate their value and cost-effectiveness: teenage and young adult cancer care being one of these specialist services. Evidence to underpin specialist health services is crucial to make a difference and sustain change. 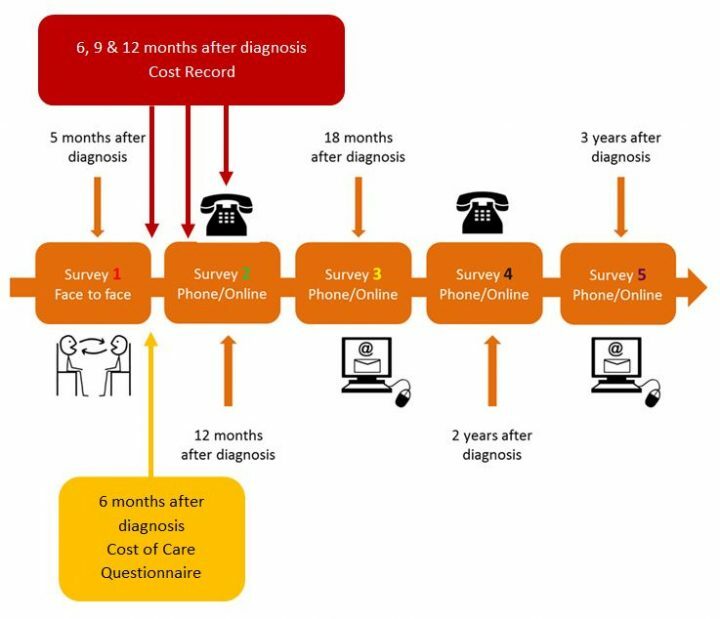 Adopting a case study approach through a critical realist lens, this multi-site case study was conducted across four teenage and young adult cancer networks in England. It used a qualitative, multi-method approach across 24 NHS hospitals, and included: semi-structured interviews with healthcare professionals (n=41), and young people (n=29); focussed ethnography, walking tours and shadowing techniques. Thematic analysis was used to identify themes between, within and across the four cases; deconstructing and reconstructing the components of the culture of care that emerged thereby enabling synthesis and contextualisation of data. The findings of this study are presented in three parts, framed around the three core concepts of culture: the dynamic contexts of the culture; the visible processes and less visible values which underpin the culture; and the way the culture was learned and shared. The first part of the findings from this study to be published looked at the term ‘age-appropriate care’ and explored how it can be conceptualised. To read the open-access paper, visit this link. Further findings from this case study will be published in 2019.